Melissa Gifford - Independent Stampin' Up!® Demonstrator: Cue the Confetti!! 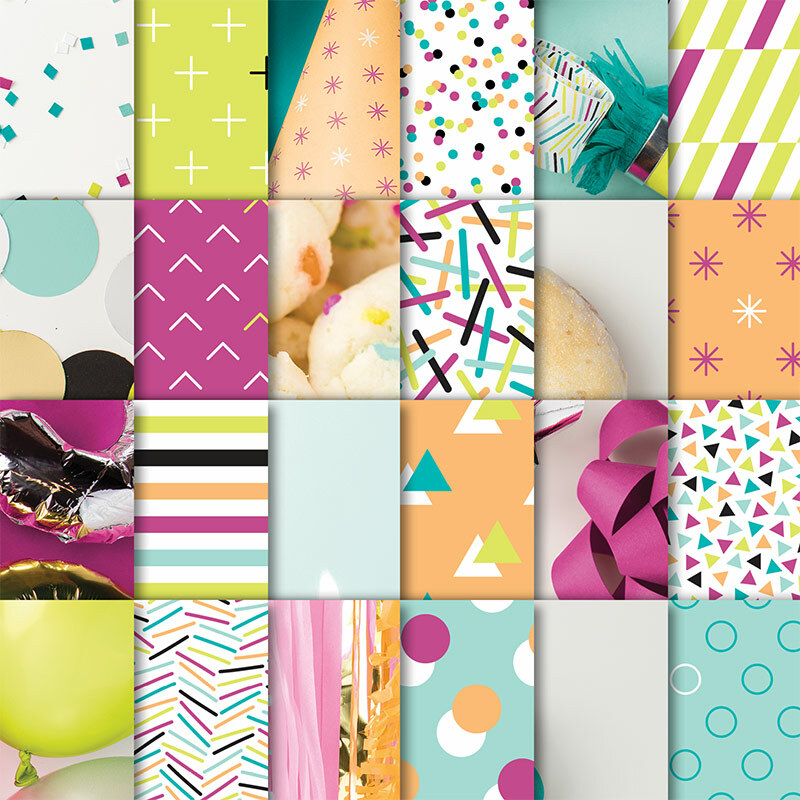 I needed to make a bunch of birthday cards that were quick, easy and suitable for all ages - cue the Picture Perfect Party designer series paper and cue the confetti!! These papers have one side of each page is photographic imagery making the pages very realistic - think donuts, party streamers and balloons! These bold images allow for the paper to do all the talking on the cards which need minimum accessories and embellishments to create a masterpiece! For these cards I was inspired by Brian King. 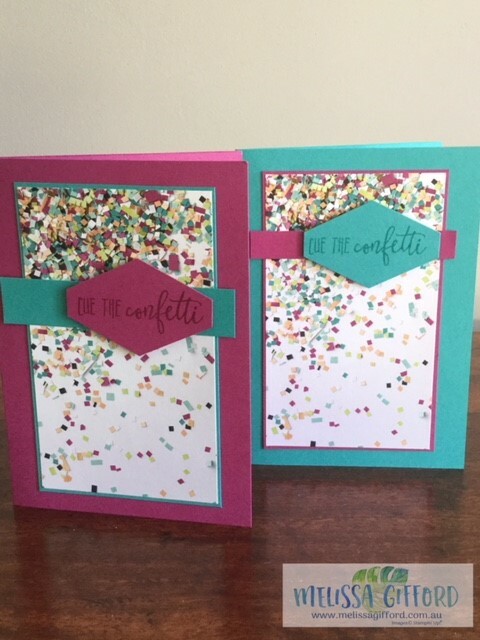 I took the colours from the designer series paper (dsp), adding the greeting and testing out my new Tailored Tag punch! It's the perfect size for so many sentiments. 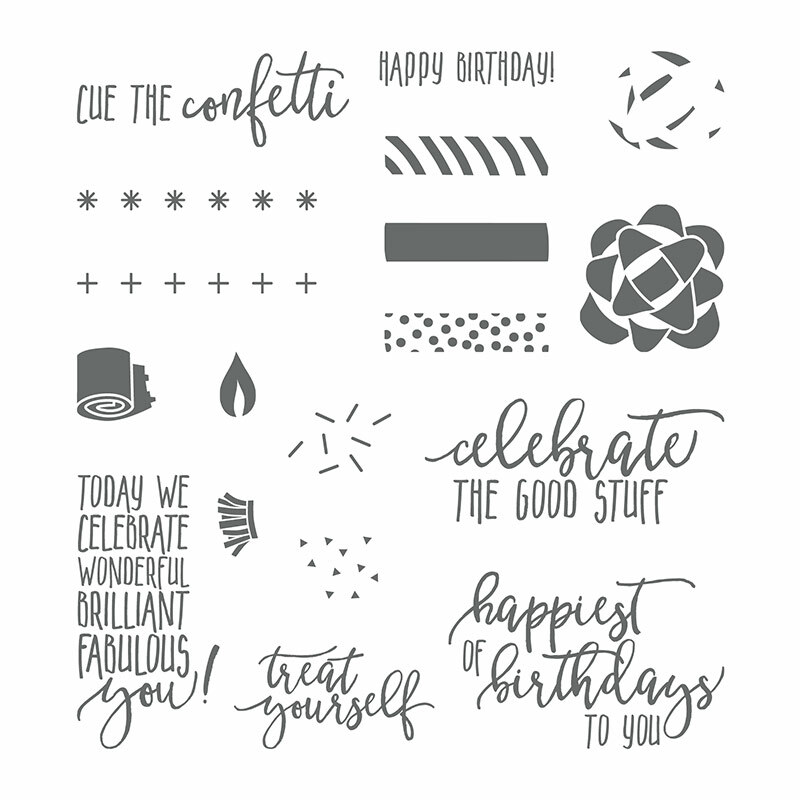 This 'Cue the Confetti' the sentiment comes from Picture Perfect Birthday - a set I see myself using alot!